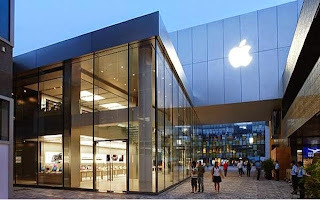 Bloomberg reports that China has prohibited its government agencies from buying Apple products due to security concerns. such as the iPad and the MacBook have been omitted from a government procurement list distributed by China’s National Development and Reform Commission and Ministry of Finance in July. The report notes that Apple products were on the procurement list until June.The move is widely seen as a backlash against the United States, which charged five Chinese military officers of hacking into American nuclear, metal, and solar companies to steal trade secrets.China has also banned the use of Microsoft’s Windows 8 in government offices, and is scrutinizing the use of IBM servers by state-owned banks. It is not clear the ban will have on Apple’s bottom line. State-run China Central Television called the iPhone’s “Frequent Locations” feature a “national security concern”. China TV claimed that the frequent location data could compromise China’s “state secrets” and other sensitive information. Apple had quickly responded to those allegations, clarifying that the company does not have access to Frequent Locations or the location cache on any user’s iPhone at any time.